Trawling through the family names in the pogrom death records again, this time I focused on children travelling with an older teenager or other family as these were more likely to be orphans from the families affected by the pogrom. Having discovered that these families were sometimes able to get onto ships leaving a few weeks after the pogrom, I started my search from November 1905, and because families often left at different times scattered over several years, I continued my search until 1912. 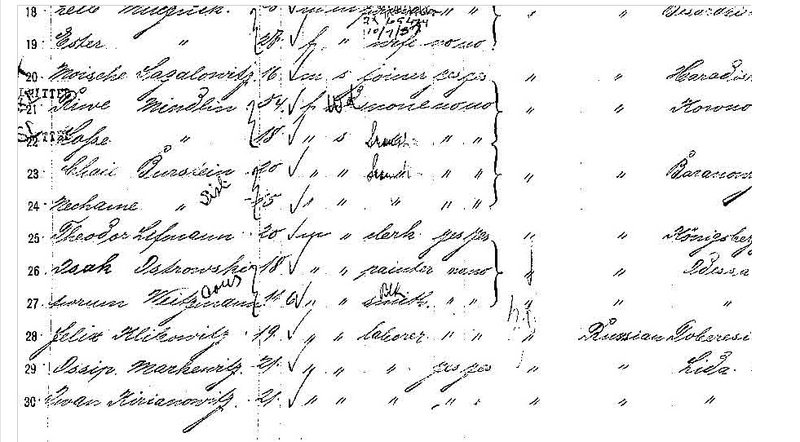 Starting at the end of the alphabet on an Ellis Island search, first in English, then Russian, I quickly found a child of 11, Avrum Weitzman, blacksmith, travelling with his cousin Isaac Ostrovsky, 18, printer, to New York having left Hamburg 22 December 1905, just eight weeks after the pogrom. They were both going to uncles in Boston, Isaac to Moshe Silberberg and Avrum to Pesach Weisberg. It seems strange that a boy of 11 was already being characterised as a blacksmith even if he had begun an apprenticeship at that age. However, neither boy, with many different spellings of their names, and variations on their age and different destinations, reappeared in the records. I tried using the names Weisberg and Silberberg. I could not find out whether the two boys were lurking somewhere, possibly with different names, or whether they had never entered America or left soon after. One of them, possibly Avrum, did have a note on the ship’s manifest saying that he had been seen by a doctor but I could not read the cause. The manifest had several pages of the names of people who were detained, many of whom were temporarily hospitalised, but the boys were not on any of the lists. The Weitzman family were unique and well-known to the Odessa archives, in newspaper reports and the pogrom death records, as recorded in an earlier blog entry, The pogrom in Slobodka-Romanovka. Four members of the family, all from Balta, are in the records, an older man Avrum Moishe, 58, a middle-aged man of 35, Chaim-Chaikel Avrum-Zus, a young man of 20, Yaakov Abram, and a boy of 13, Naum. There were also two members of another family, the Varshavskys, who were related. The Weitzmans were a prominent family in the working class area of Slobodka. In The Odessa pogrom and self defence, 1906, the story of the Weitzman family is spelled out in more detail. Veitsman and his family wanted to hide at the Slobodka town hospital where he was acquainted with Dr Golovin (professor of ophthalmology); but they were not allowed at the hospital. The policemen Kolloli, Ivanov, Andreev and the coachman killed four of the Veitsman family and five died later in hospital. 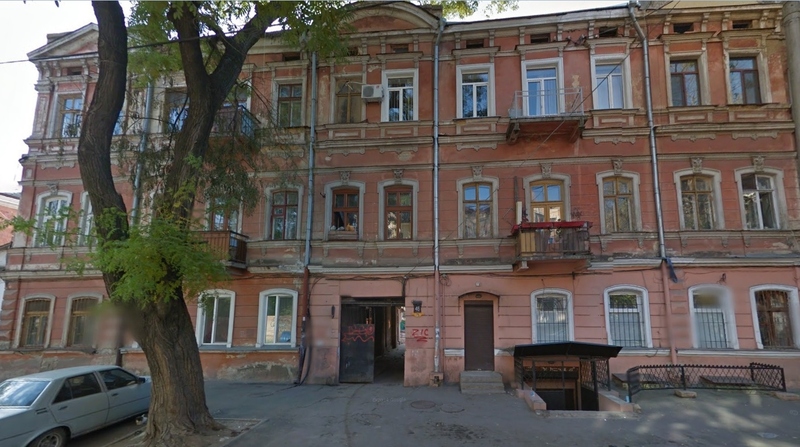 In the 1904-5 directory, an A Veitsman owns 63 Gorodskaya, at the corner of Krivovalkovskaya in the Slobodka district. Could 11-year-old Avrum have been the grandson of the Avrum Weitzman who was killed in the pogrom? Could he have had an eye problem the doctor at Ellis Island noted, that had led his family to know the ophthalmologist who had not been able to save them? In the 1890s there were four Weitzman families in the list of Odessa Jewish small businesses in the heart of the Moldavanka area, where the pogrom was most active. However, the only property under the name Weitzman in the directory (therefore owned not rented) was the property in Slobodka. The Ostrovsky family or families also had four small businesses, three in the centre and one in Moldavanka. 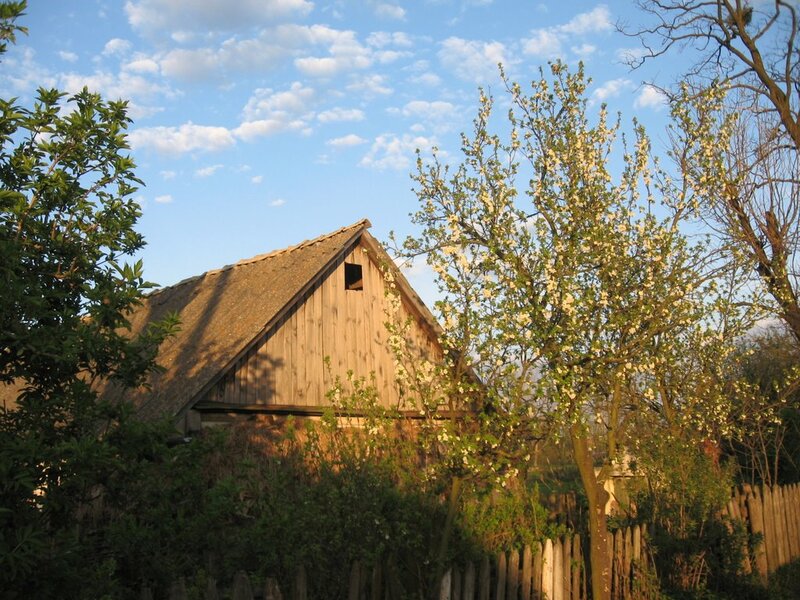 They owned many properties across Odessa, in the centre, Moldavanka and two in Slobodka. 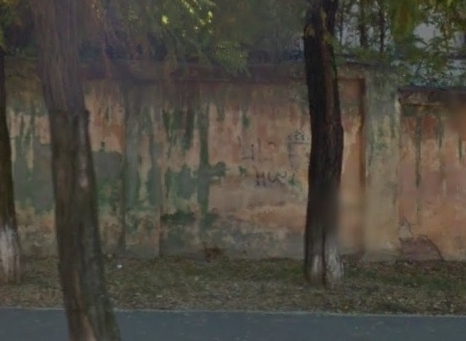 One was in Lavochnaya St, which can be seen in Google Streetview pictured below. 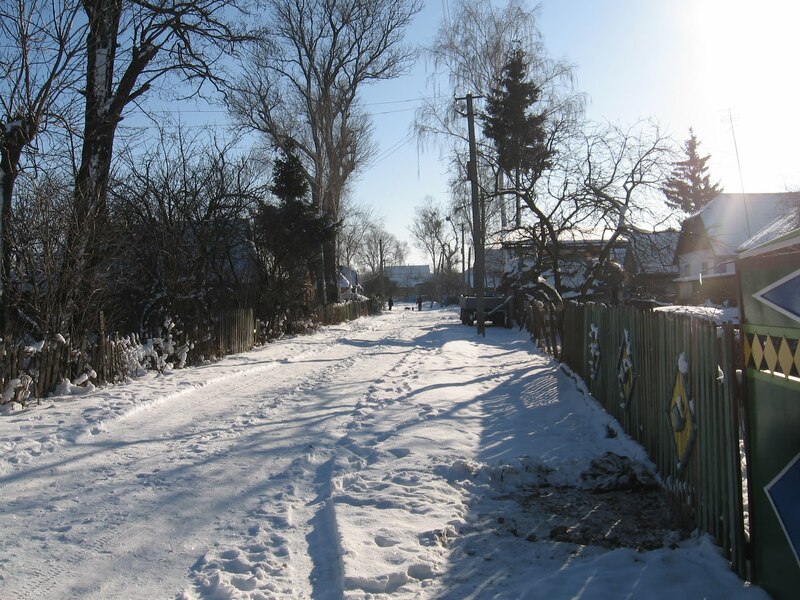 The sidestreets of Slobodka contrasted sharply with those in the centre like the Ostrovsky residence at 21 Bazarnaya. 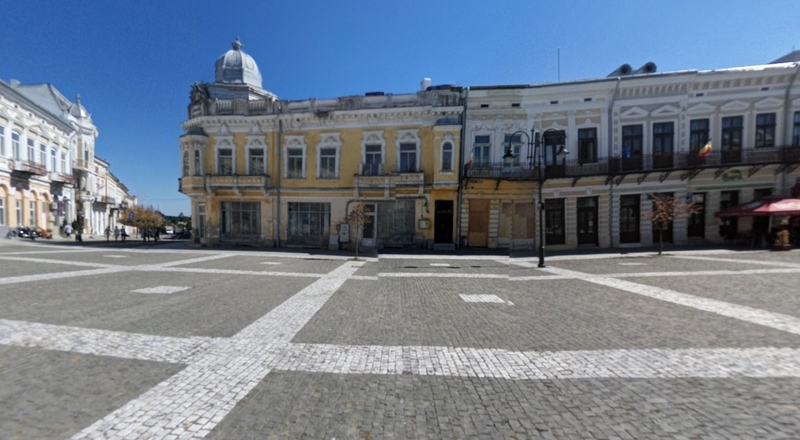 Although there were quite a few Weitzman and Ostrovsky families in Odessa and many in the Odessa birth records for the 1890s, there is no birth record for an Isaac Ostrovsky or Avrum or Abram Weitzman. This might relate to the fact that the population was changing so rapidly and many families may have only been in Odessa a few years. 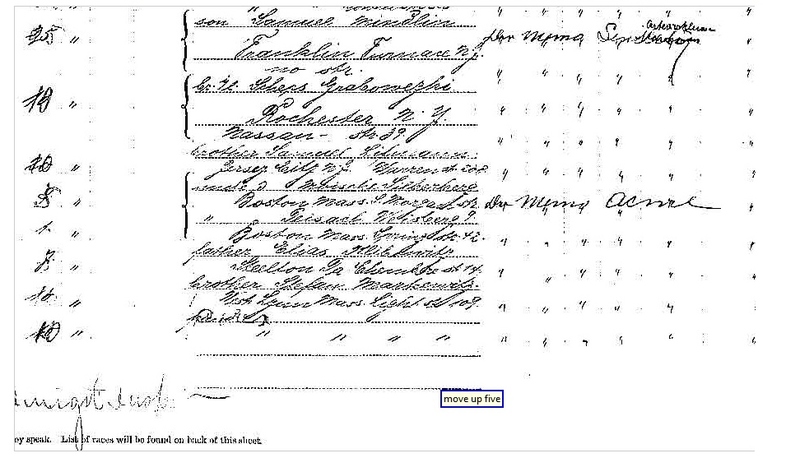 The ship’s manifest for 1906 does not state where people were born, only their last residence, making it difficult to trace them in the US records which occasionally state city of birth. There were no Abraham Weitzmans or Isaac Ostrovskys in Boston. There was one Abraham Weisberg but he was several years older and from the very north of Ukraine, not Odessa or Balta, where most of the family was born. The few Abraham Weitzmans and Isaac Ostrovskys in New York and Philadelphia had very few records and were either the wrong age or had the wrong emigration date, or in one case was someone who had arrived with his whole family. There was also a Weitzman family from Balta, with a son called Abraham of a similar age, who had emigrated to London in the early 1900s. Because the Weitzman family had such a detailed story of their experience in the pogrom, I particularly wanted to follow Avrum’s life in America, but every time I felt I was possibly finding him, he slipped through my fingers. Another family of probable orphans were the Chaits, an older sister, Leie, 17, and two brothers, Pesach, 9 and Isser, 8, who arrived in New York in August 1907 en route to their aunt, Lily Fellman, in Detroit. They had been living with a relation in Odessa, Feiga Chait. The Chait in the pogrom death records was Shmuel Mordko, 40, from Yanov, who I later found out was not a direct relation of the children. According to one marriage record their father was called Frederick, which may have been a translation of a name like Fishel. There is an F. Chait in the 1904-5 Odessa directory who owned several properties in the centre. At first I could find no trace of the Chait children, but then I found the two boys as Peter and Oscar Chayte, in a huge Jewish orphan asylum in Cleveland, Ohio. In 1907, when the Chait children had arrived in the US, their aunt, age 25, who was married with a seven-year-old son, had only been in the country a year. Maybe she did not feel she could take on her two nephews or thought the orphanage would give them a better chance at a livelihood. Both boys did appear to do well in life and returned to Detroit, one living with his aunt after he married and had a child. By 1921, when Oscar married, they had changed their names to Clayton. Peter sold advertising for a newspaper and Oscar worked as a chemist for a paint company. 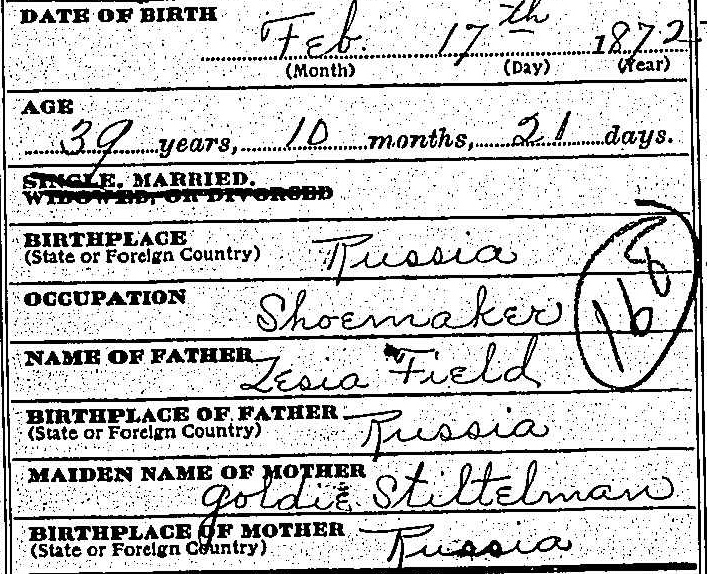 On the 1930 census, Peter wrote that he was from Odessa in Russia as were his parents, but by 1940 the brothers wrote that they were born in Ohio. The 1940 census was the first census that did not ask where parents were born and was more preoccupied with work and income. The brothers may have decided to avoid their background on an official document because of the rise of fascism, the war and memories of the pogrom and anti-Semitism in their childhood, or they may have decided that they now felt more American and could put the past behind them. Or it was simply easier. On Oscar’s marriage record his parents first names are Frederick and Pauline, so I looked on the Odessa 1904-5 directory for F. Chait. 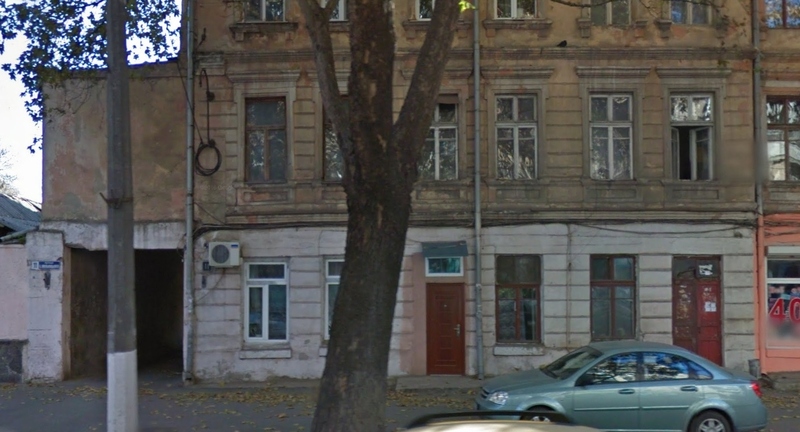 One property was at 9 Raskidailovskaya in Moldavanka. The person I could not find at all was the 17-year-old sister who brought the two brothers to America, Leie Chait. There are marriage records for Michigan and Ohio but she does not appear. I tried the various surnames and any first name beginning with L – Leah, Lea, Lizzie, Lena. Had she returned to Odessa or simply disappeared through moving somewhere in the vast spaces of America and not filling out censuses? Two more brothers, Jacob, 10, and Isser Schoichet, 7, were travelling with Meier, 30, Sofia, 25, and Rose, 4, Janco from Odessa to New York in August 1912. 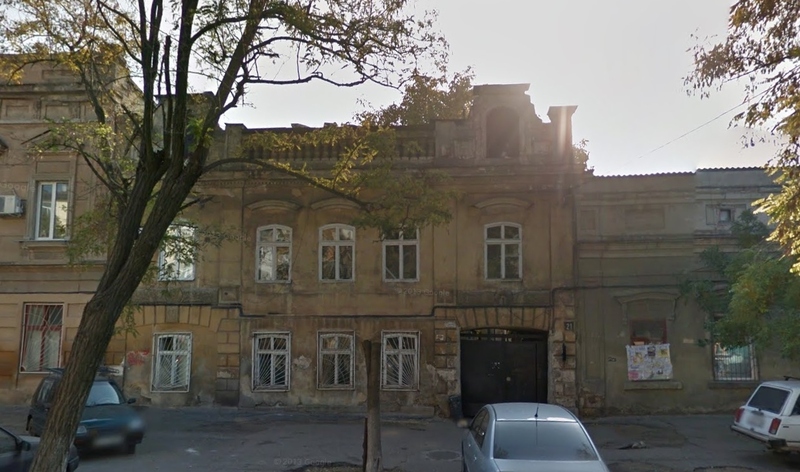 Their address in Odessa was the Janco’s friend, Ester Schoichet, at 11 Gospitalnaya, one of the streets most affected by the pogrom in the heart of Moldavanka, possibly the boys’ aunt or grandmother. This was already five years after the pogrom but both families probably lost a relation in the pogrom, a young man, age 31, from Odessa, Moidel Israel Janco, and a 42-year-old from Tuchin, Yankel Duvid Schoichet. Meier Janco had left Odessa in 1903 and married Sophie Jacobs, also from Odessa, in New York, and they were returning to Odessa for a visit. The brothers were on their way to their father who had emigrated to Philadelphia and changed his name to Miller. It was difficult to read the initial of the father’s first name – a straight line with a loop at the top which could have been an I, S, L, or J. I couldn’t find any family in 1920 with two sons called Jacob and Isadore or Irving or another name with an I. There was one family with no mother and a father called Louis who had a son of the right age called Jacob which was a possibility. On the other hand, there may have been a mother and the two sons had stayed in Odessa longer for health reasons. Or the father may have married again. I did find a 1945 California naturalisation form for an Irving Eddie Miller, formerly Itzchok Schoichet. He was 43, so was born in 1902 and would have been 10 instead of 7 in 1912, if his age is correct. I also found the marriage record of his daughter, Constance, in 1952, which included the name of his wife, Lillian Kleinberg, from Hungary. 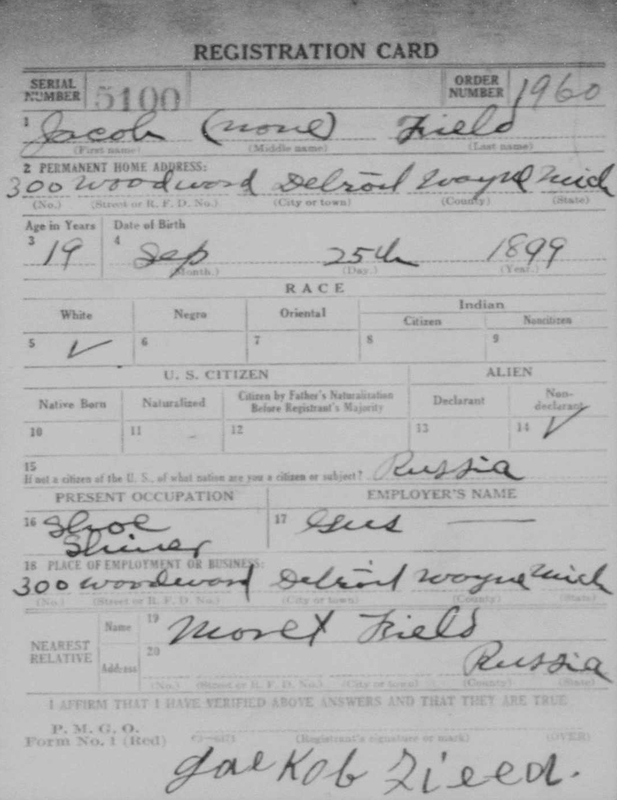 There is also a World War I registration record for Jacob Miller, a carpenter in Philadelphia, the son of Louis Miller, but there are no more records for him which might clarify whether this was the Schoichet family from Odessa and no record of what happened to him after 1917. The Janco family do appear in many records. Meier Janco received a US passport for himself, his wife and daughter for their trip to Odessa in 1912. He states that he was born in Odessa in 1882 and was a brass moulder. In 1914, Meier got another passport in his name alone and he says he was born in Botoshan, Romania. His profession is still brass moulder and he gives no reason for travelling abroad. 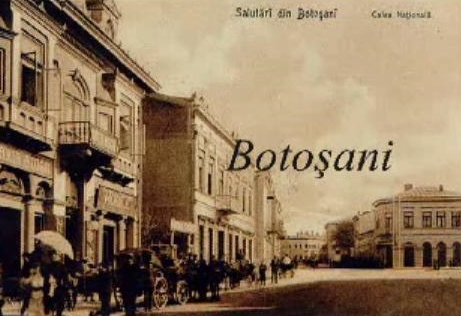 Botosani, or in Yiddish, Botochan, in north-east Romania, is the capital of a county and has an impressive main square, of which this photograph is only a small corner, flanked by 19th-century balconied houses similar to those in Odessa. In 1917 Meier received another passport in order to travel to Canada for his work as a salesman for a metal film box manufacturer. There is a supporting letter from someone at the Impco Indestructible Metal Products Company. In 1920 he was again applying for a passport, this time to travel to Poland, Italy and Switzerland en route to Romania in search of his parents. He has a letter of support from a friend who says that Meier has not heard from his parents, two brothers or any other relations since the beginning of the war and will be looking for them in Poland and Romania. In the 1920 census, Meier’s wife and daughter appear as lodgers at a house in Brooklyn. The couple may have separated as long ago as 1914 when Meier first applied for his own passport. In 1921, Meier had moved to the Bronx and in the move lost his passport. He explains this in a letter attached to his new application for a passport to travel for business purposes to Czechoslovakia, Romania and Switzerland and states that he has lived outside the United States, in Romania, Germany and France, for two periods of several months in 1920 and 1921. He appears on a ship’s manifest in March 1921 travelling from France to the United States saying that his last permanent residence was Paris and his nearest relative in the country from which he came is his mother who lives in Podonliloia, Romania, where he says he was born. 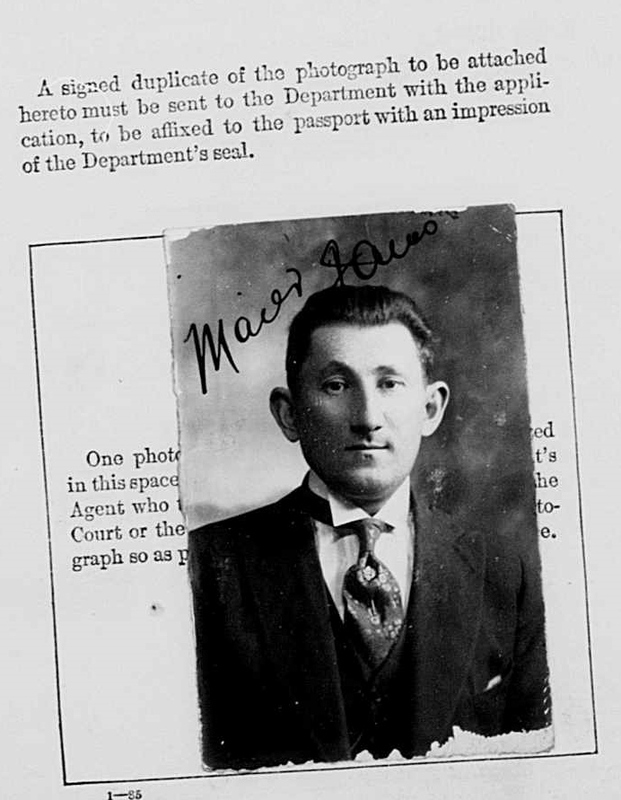 On the 1921 passport, he declares that his father, Israel Janco, is deceased. By the 1930 census, the daughter has married and her mother is living with the couple, using her maiden name, Sophie Jacobs. The last piece of the complex jigsaw of Meier’s life is a ship’s manifest from 22 December 1905, a month after the pogrom, on which Meier, age 22, was travelling with his sister Esther, 23 and his mother, Channe, 48, who must have returned to Odessa or Romania. The victim of the pogrom in the death records was Moidel Israelevich Janco, who could have been Meier’s older brother. On all of his passports Meier states that he emigrated to America in 1903 and had remained in America consistently since then until he was naturalised in 1912. He did emigrate in 1903 by himself to a brother in New York, but must have returned at some point between 1903 and 1905. Meier seems to have had a very complex relationship with both Russia and his home country of Romania, and possibly with the deaths of his brother and father, who he said he was looking for after the war but who had not emigrated with the family in 1905. He seems to have spent the years when he might have been concentrating on his family and creating a home with them, travelling and living throughout Europe possibly in a bid to find or recreate a lost family. As I wrote the date that Meier and his family left Odessa, 22 December 1905, I realised that they were on the same ship as the two lost boys, Abraham Weitzman and Isaac Ostrovsky. There were a dozen or so people from Odessa on the ship, but among hundreds of immigrants, these young people probably passed by each other on the decks like ships in the night, never knowing they had suffered and lost family in the same pogrom a few weeks before. Meier died in 1931 at the age of 44 having moved back to Brooklyn. His birthplace is listed as Russia. Jacob’s sisters, Eva and Pauline, were not at Eloise Hospital. 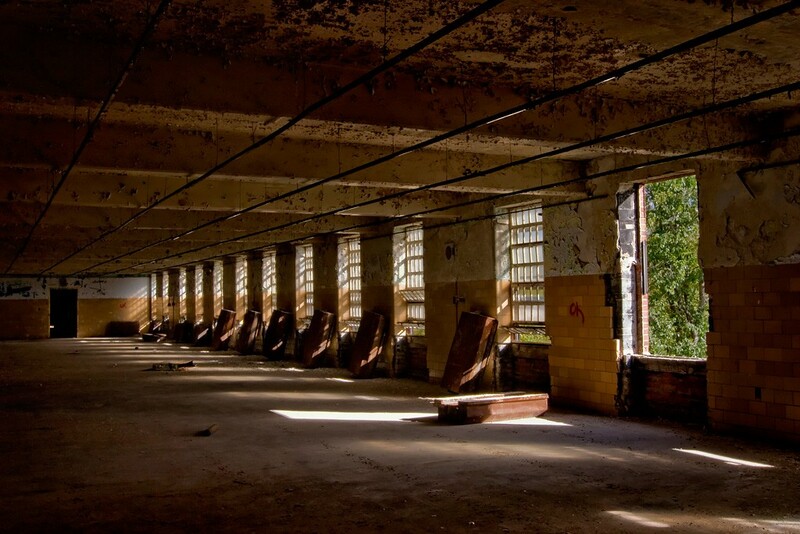 In 1940, Pauline was at a newer psychiatric institution between Detroit and Ann Arbor, the Ypsilanti Psychiatric Hospital. She does not appear on the 1930 census. She divorced her husband, Charles, in 1927 for lack of support, and does not appear again in the records until 1940. According to the 1940 census, Charles Rubinoff, who had been a machinist in 1920, married again, had a son, and became an attorney working for the Michigan unemployment compensation commission. Morris Field also went into labour relations, after being a toolmaker in the car industry, working as a union organiser. Esther’s husband was also a machinist and die maker with some political awareness, as, in October 1931, the whole family passed through the port at Southampton on their way to Leningrad, part of an Autostroy party, returning to Detroit in October 1932. Autostroy was an enormous Soviet automobile factory which produced Ford cars. By 1940, Robert had moved with his family to Washington DC, where he was working as a machinist at a naval gun factory, which seems particularly interesting after having spent a year in Russia. Was there a connection between living in Russian for a year and moving to Washington? I assume Pauline left the hospital at some point because she appears on the Social Security death index as having died in 1981, and therefore must have been working at some point after 1935 when the Social Security system started. 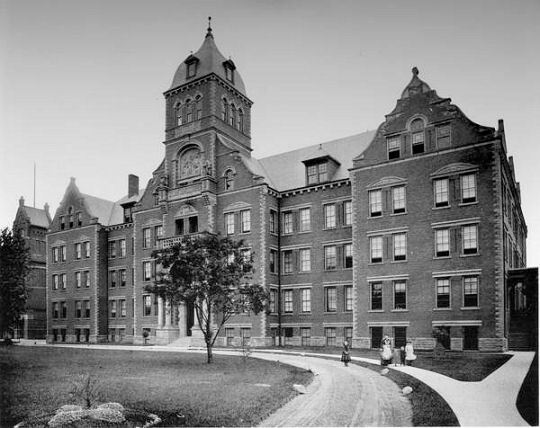 Eva was already at an Ann Arbor psychiatric hospital in 1930, the University State Psychopathic Hospital, which was set up in 1906. Ypsilanti was not opened until 1931. It began with 922 patients and rose to 4000 patients. Both of these enormous psychiatric hospitals, like most, were closed by the 1990s and were either demolished or left in ruins. I do not know why Eva was sent away from Detroit. It might have been that Eloise was too crowded, but it would have been difficult for her family to visit and she was only 20 in 1930. 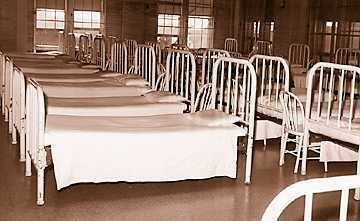 All of the psychiatric hospitals at that time were overcrowded. 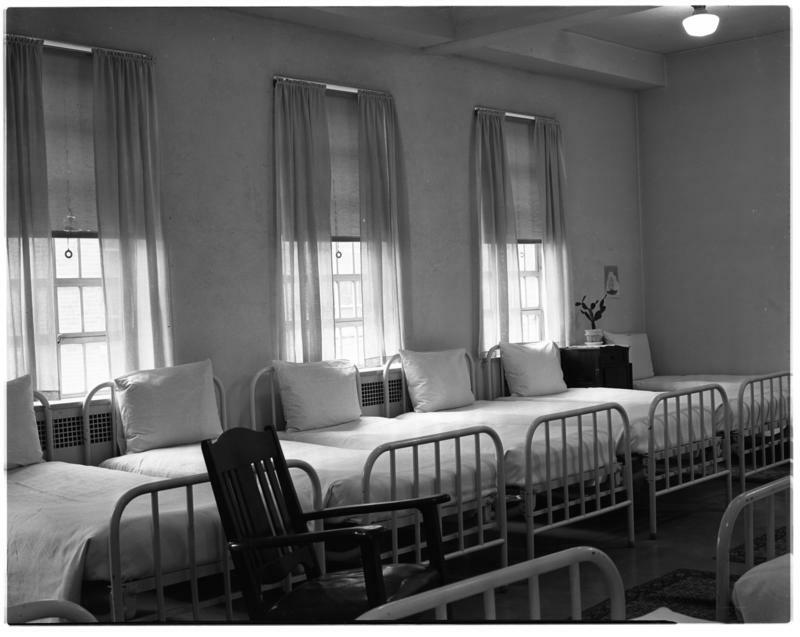 Even with this overcrowding, they did manage some treatments, mostly involving light and water, and occupational therapies, such as crafts and sports, but probably only those with some hope of recovery had the chance to take part in these options. 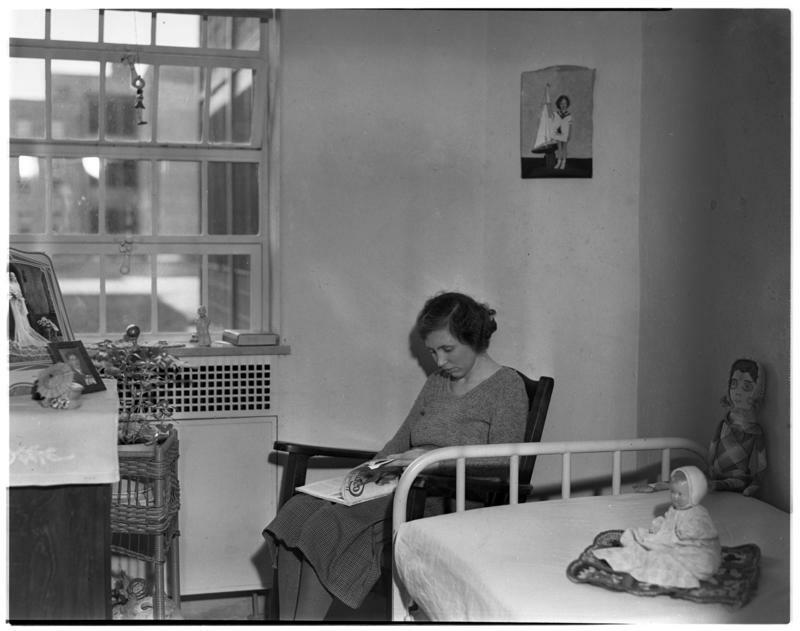 Eva did recover, as in 1940 she was living with her mother and working as a stenographer. Jacob is the only one about whom there are no further records. Both Pauline and Jacob arrived in America with Esther, a year after their mother and the other children. Possibly they already had some problems from the time of the pogrom and it was thought better to delay their departure. Eva was born in America in 1909 so was about 2 ½ when her father suddenly died. Pauline, born in July 1904, was nearly 18 months at the time of the pogrom. Jacob was probably born in 1896 and would have been 9 in 1905. The 1940 census asks for number of years of schooling and Pauline had 8, while Jacob had 2. His schooling must have been interrupted by the pogrom. On the census, his native language and immigration date were unknown. Did he remember nothing, did he not answer, or was he confused? What was going through his head – Ianuspol, Berdichev, Odessa or the whole family briefly together again in Dayton? As I began writing this, I went back to the information I had discovered a few months earlier, and tried to find additional records to answer some of the more puzzling question. I discovered Nathan’s death certificate which said that, having moved into a new house on Wayne Avenue the day before, at 6 am he was asphyxiated by carbon monoxide from lighting a stove without a flue. I assume that, as he was lighting the fire for the first time in their new house, this was a terrible accident, although there is a tiny chance, if the flue was closed, that it was suicide. For some reason, since 1910, the family had moved twice, from Samuel St to South Quitman St and then to Wayne Ave, two streets away. These are large avenues and many of the houses have been replaced by businesses or left empty. They may have been moves to more or less expensive houses. Life may have been improving or becoming more difficult. It is unimaginable to think how Golda could have managed with eight children and I wonder how much her family was able to help them. It was some time before I realised that I should have been able to find out the name of Nathan’s mother on the death certificate to see if she was the Sura Feld in the pogrom records. I had noticed his father’s name, Zezia Field, and his wife, Goldie Stitelman. It was only as I was writing and checking the death certificate again that I realised Goldie’s name had been written in the space for Nathan mother’s name. I looked down at the informant and found it was not Goldie or any other family member, but someone called Charles Weisman, who lived on Samuel St, where the Felds had first lived. Possibly the family was too shocked to deal with the paperwork. Having much experience with my own family leaving out information on forms, such as the birthdate on my uncle’s 1929 death certificate, the uncle who was born at the time of the pogrom, I feel that important information is often withheld because it is too upsetting or the names have been kept secret. If Charles Weisman was asked to put Goldie’s name on the form instead of Nathan’s mother, it could have been that Goldie did not want to mention a family member killed in the pogrom… or a mistake. I also found a story online about Goldie’s family, the Stitelmans. It begins with the author’s experience as a child trying to find out about his family and discovering a great-uncle Peter (Golda’s brother) who was murdered in a pogrom around 1903-5, and then a complete chance meeting years later with the great-grandson of the same great-uncle Peter. Nevertheless, I made a pest of myself by asking repeated questions. Esther (his father’s cousin) seemed distracted, and finally, almost as an afterthought, mentioned an Uncle Peter who, she said, beat up a policeman and was taken to a police station where he was killed. After comparing notes, we found that his (Jacques Paul Stitelman) great-grandfather and my grandfather were brothers. His great-grandfather was the very same Peter (Petakia) that my cousin Esther had told me about all those years ago. My grandfather, Jacob, immigrated to America in 1904. His brother was murdered in a pogrom in the family shtetl (Yanoushpol, now Ivanopol) between 1903 and 1905. His children and other relatives were severely traumatized—which may be why Cousin Esther was so reluctant to discuss these matters. Jacques’ grandfather immigrated to Switzerland in 1905 and later opened a business in Paris, where they lived when the Nazis invaded France. Finally I went back to the ship’s list to check all the names and addresses. And of course there were things I hadn’t noticed or thought much about. Possibly they had not meant much to me before reading the Stitelman story. I had found that Golda was born in Berdichev, and the older two children travelling with her, Nechame and Moishe, in Yanuspol, but I had not really taken in that the younger two, Libe and Vitie (Lillian and Victor) had been born in Batum, a Black Sea port in Georgia. The story finally began to come together. 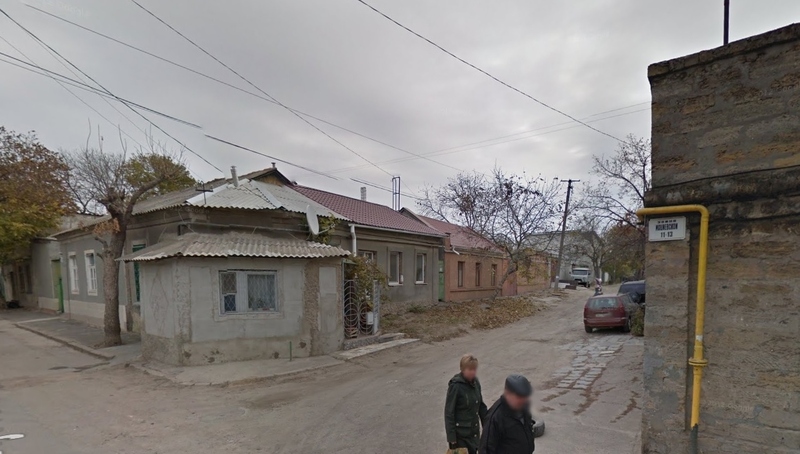 The Stitelman family must have moved from Berdichev to Yanuspol and, after Petakhia was killed around 1904, they moved to Odessa, fleeing the insecurities, searching for safety. 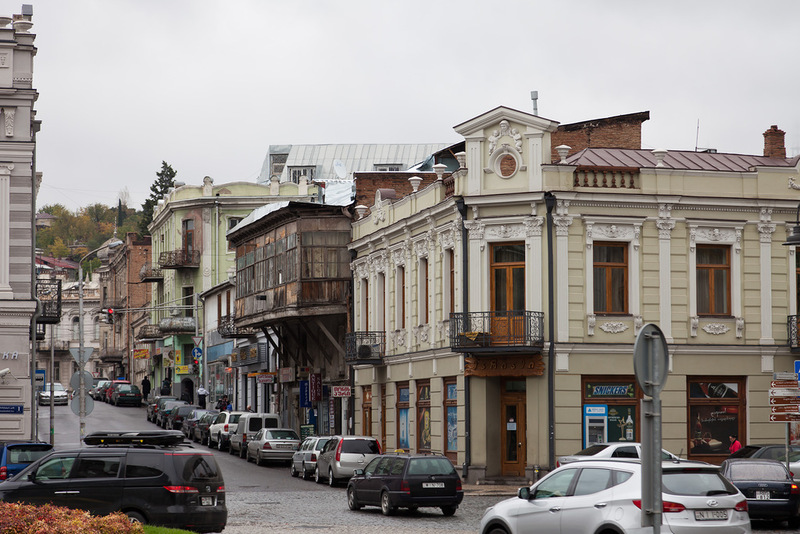 According to the Jewish small business list, another Feld, possibly Nathan’s brother, Ios Zusevich Feld, had a house and business in Moldavanka, at 46 Kuznechnaya Street from 1893. 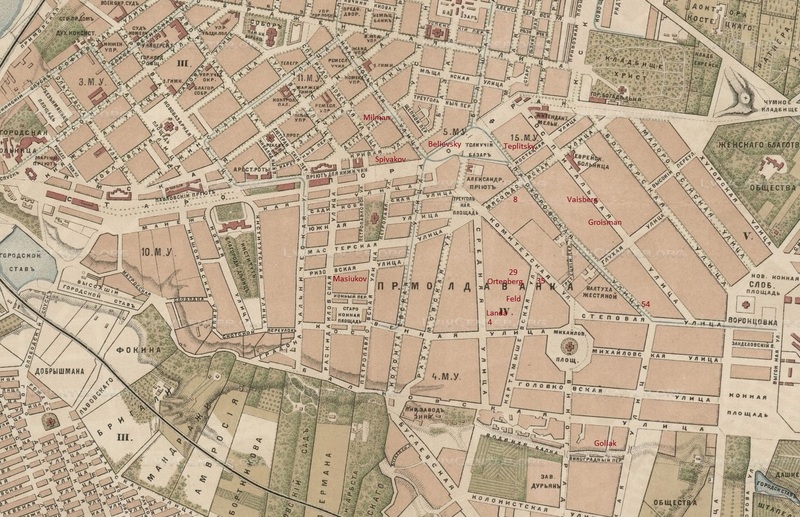 The upper Feld on the map is 46 Kuznechnaya, quite near the Jewish cemetery, and the lower address is the Stitelman home at 10 Kartamishevskaya Street. 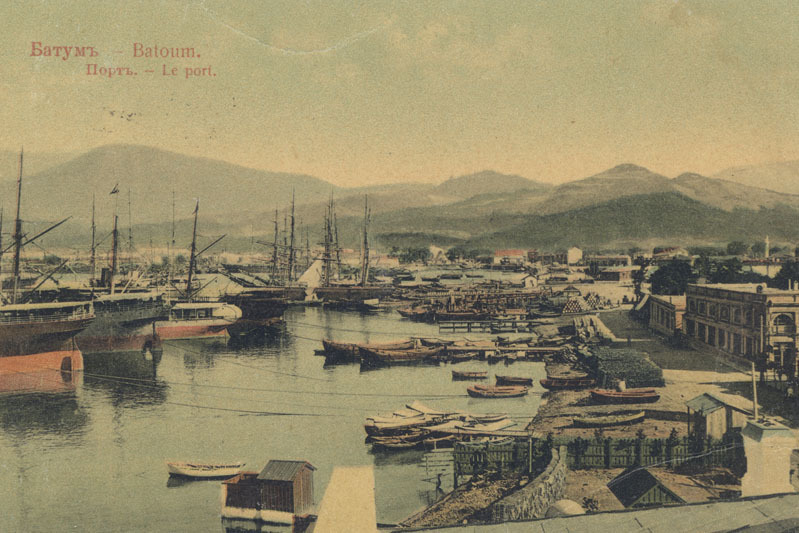 Then, within a year, there was the pogrom, and Nathan, Goldie, probably very pregnant with Lillian, and their children fled again, taking a ship to the port of Batum (Batumi). Jacob would have been 9 in 1904 when the family might have left Ianuspol. If he had begun school at 7, he would have had two years of school. Then he might have had a partial year in Odessa, possibly no school in Batum, and then he had another interim period in Odessa living with his grandparents. He was 15 when he left Odessa in 1910, already beyond the mandatory school-age. The children who left a year earlier with Golda were younger than Jacob and would have entered school in America, learning to read and write English. Jacob may have never learned to write well in any language and would have found himself at quite a disadvantage in America. Two years after arriving in Batum, Victor was born and, when he was old enough to travel, Golda must have returned to Odessa to make her way towards America. Nathan had left earlier, possibly before Victor was born. They may have heard from Golda’s sister in Dayton, who had gone to America in 1905. According to his death certificate, Nathan had been a shoemaker, so he could have made a living anywhere, but it was probably not easy to bring up and educate their children in Batum. America must have seemed like the promised land. As to smells, the rancid smoke of roasting mutton nearly always dominated them all…Next came the smell of freshly ground or freshly brewed coffee. It was ground in Turkish coffee mills, made of copper and looking like small shell-cases…Batum was permeated with the smell of coffee, wine and tangerines…At that time Batum was visited by a great number of feluccas with oranges and tangerines from nearby Turkey – from Rizeh and Trapezund (in Batum they said Trebizond). These aromatic fruit were stacked in pyramids on the decks of feluccas which were as multicoloured as Easter eggs… The smell of coffee spread not only from feluccas, but also from the shingle on the beach. It was edged with coffee-grounds. Torn yellow shreds of tangerine peel were strewn conspicuously among them. 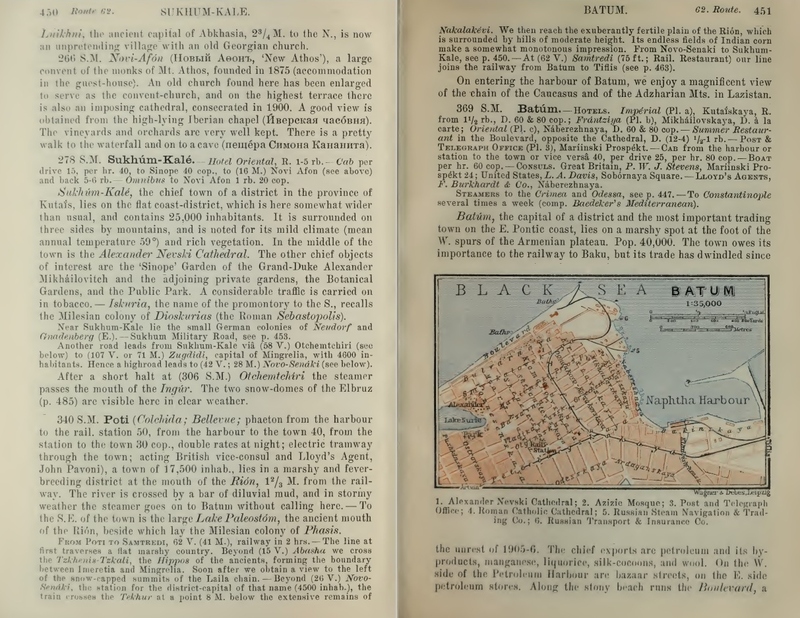 Paustovsky’s description of Batum makes me wonder whether or how often anyone in the Feld family thought back to their years living by the Black Sea as they made their way in mid-west America, and whether those years had anything to do with those who found it so difficult. A postscript to the Feld family story: when I first looked up Esther Romm I found a widow of 50 in 1940 living in Los Angeles with three daughters in their early 20s, two of whom were twins called Goldie and Pauline. Although I know that Jews do not name their children after living relations, it was such a strange coincidence that I felt there must have been some factor that had caused this woman to name her children after her mother and sister. I felt they must have been separated in a way that seemed like death. But I soon found that this was a different family who had emigrated from Russia to New York where the daughters were born. Somehow, I wanted to believe that someone in the Feld family was keeping the family names alive and if she had had a son she would have called it Nathan. Unlike the Scheindless brothers, no one in this family seems to have named their children after their dead father or their grandmother killed in the pogrom, if that was the case. As people so rarely spoke about anyone who died in the Odessa pogrom, I cannot be sure that any of the families I found on the Ellis Island database or in other records were closely related to those who were killed. I have followed a few families with relatively rare names and some indications that they might have been related to one of the people in the pogrom death records, because I was interested in how families managed after the pogrom. Most of the ones I was able to find emigrated to America. It must have been unimaginably difficult and yet many families seem to have come out of it relatively well, although it is impossible, through the records, to know how people really felt after such loss. Golda Feld, 34, from Odessa, leaving Rotterdam on the SS Nordam on 12 December 1908 with her four children, Nechame 11, Moishe 8, Libe 3, and Vitte, 10 months, was like any other wife going to join her husband in America, although she would probably not have chosen to be travelling in December with a baby. Her husband, Nathan, was already living in Dayton, Ohio. Golda had been living with her father, Avrum Stitelman, at 10 Kartamishevskyi Lane or Street. 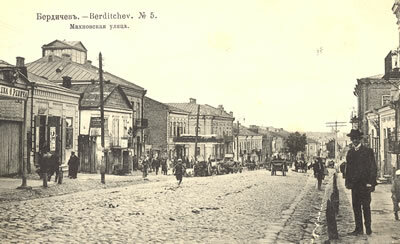 During the pogrom, 29 Jews had been killed at 7 Kartamishevskyi Lane and 35 at 5 Kartamishevskaya Street. 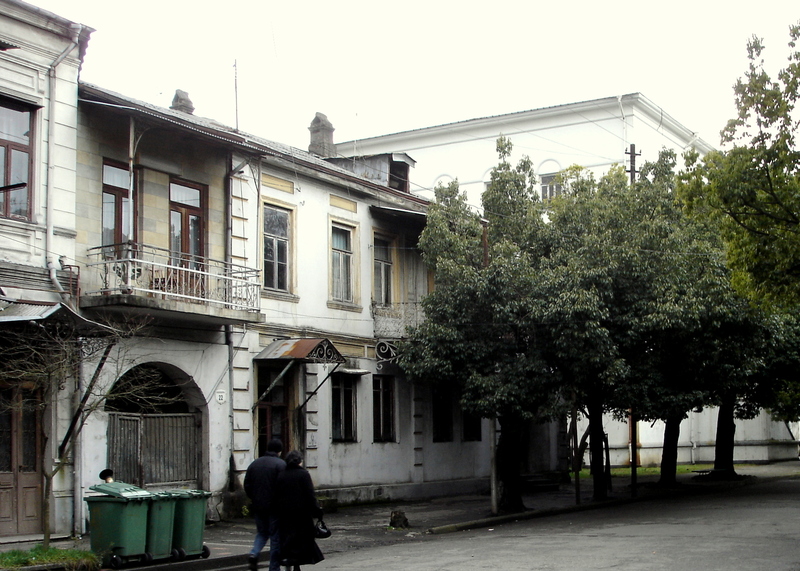 10 Kartamishevskaya Street is the more modern building on the right; number 12 on the left might be more representative of the street in 1905. Golda was born in Berdichev as was the elderly woman who was killed in the pogrom, Sura Gershkova Feld, age 70. Was Sura her mother-in-law? The two older children travelling with Golda were born in Ianuspol, now Ivanopil, a small town near Berdichev. Golda, Nathan and their family may not have been living with her parents in 1905, but as they were relatively new to Odessa, may have all settled in the same area. 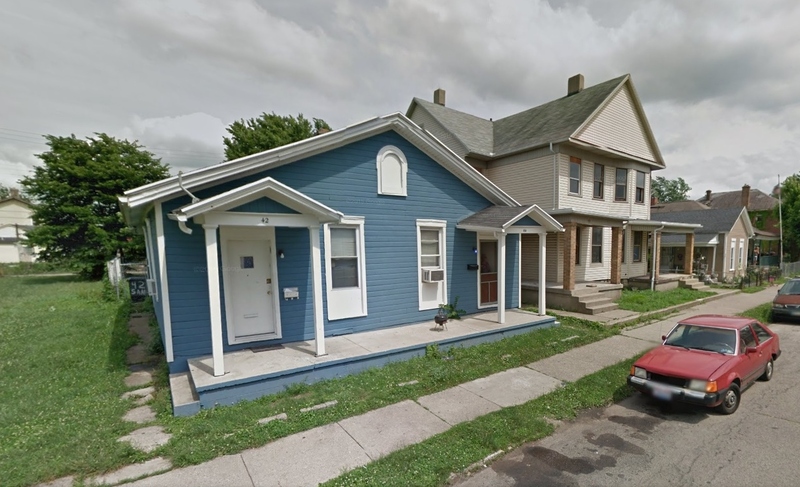 What intrigued me about Golda’s situation was that over a year later three more of her children, living with their Stitelman grandfather or grandparents, left Odessa to meet the rest of their family in Dayton, Ohio. These were Esther 16, Jacob 15, and Pauline 6. Why hadn’t such a young child as Pauline travelled with her mother? Had she been ill? When I first came upon the Feld family I looked up the father, Nathan Feld, in Dayton, and found the whole family on the 1910 census, using the name Field. The children were Esther, Jacob, Niciomi, Moses, Polina (Pauline), Lilie, Vitie, and a new baby Eva. As I could not find Nathan on a ship’s list, I puzzled over how he came to be in Dayton, but several months later, looking again at the 1910 census, found that their next-door neighbour, Max Skilken, 25, was also Russian and involved in the same business as Nathan, fruit peddling. They lived in a combined house, 42 and 44 Samuel Street, a Russian-looking house with its gable end to the road. With some detective work I discovered that Max’s wife, Sarah, was Golda’s younger sister. There was also an older Ralph Skilken in Dayton who was a fruit peddler. The next piece of information I found was that Nathan died two years later, in 1912, age 39. I then looked for the children individually and noticed first in the 1940 census that two of the children, Jacob and Pauline, who had come together on the ship in 1910, were both inmates at different psychiatric asylums in Michigan, one in Detroit and one near Ann Arbor. The youngest daughter, Eva, had also been at an asylum in Ann Arbor in 1930, but in 1940 was living with someone called Olga Tomarin. Olga turned out to be Eva’s mother, Golda, using her Russian first name. Golda (Olga) had remarried, and was now a widow. Piecing together the various records, I eventually found that the eldest daughter, Esther, had married Robert Romm, in Detroit, when she was 20, in October 1914. Her mother married Max Borovsky in December 1915, also in Detroit. On the 1920 census, Golda is Goldie Field, having divorced, and is living with Pauline, who is 18 and married to Charlie Rubinoff. Also living with them are Lillian 17, Victor 11, and Eva 9. Esther and Robert were living next door with their three small children. It seemed to be a close and supportive family. Both Robert and Charlie were working at automobile factories. Pauline had married in 1918 when she was 16, although it says 18 on the marriage record. Her brother Morris had married in 1919. Jacob was not on the 1920 census. Nor was Nechame. I eventually found a Nathanial Field who was the same age as Nechame and died at 81, a widower, in Columbus, Ohio. In 1922 Golda married Solomon Tomarin, a widower, and in 1930 they were living with his son, Lillian and Victor. The only other record I found for Jacob from around 1920 was a World War I registration form, which was probably his, although the birthdate was a few years younger. It was a sad form. He was a shoeshine boy of 19, working for Gus, and his address, 300 Woodward Avenue, at least now, is a wide, central street leading to a huge, open square by the river, with large office buildings. 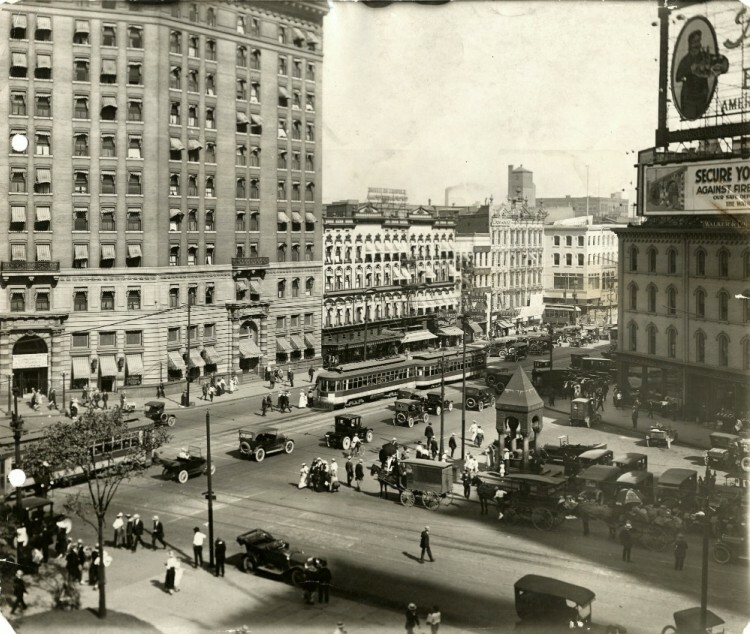 The buildings on Woodward Avenue between 1910 and 1920 were smaller, and he may have had a room, shared with friends, or lived on the street. If he was homeless, that would explain why he is not on the 1920 census. For someone who had a mother and at least half a dozen brothers and sisters living in Detroit, it is strange that he wrote that his nearest relative was someone called Moset Field in Russia. Who was this relation and was Jacob imagining himself still back in Russia? 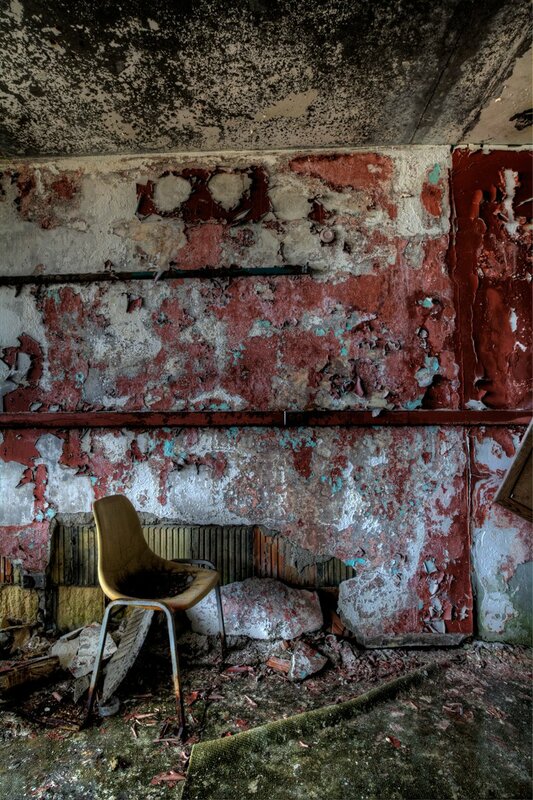 In the 1930 census Jacob was a patient at the Detroit psychiatric hospital, a massive institution called Eloise, which began its life in 1839, 2 miles outside Detroit, as Wayne County Poorhouse. In 1894, a post office in the grounds of the hospital was called Eloise after the five-year-old daughter of the Detroit postmaster and president of the county board overseeing care of the poor. 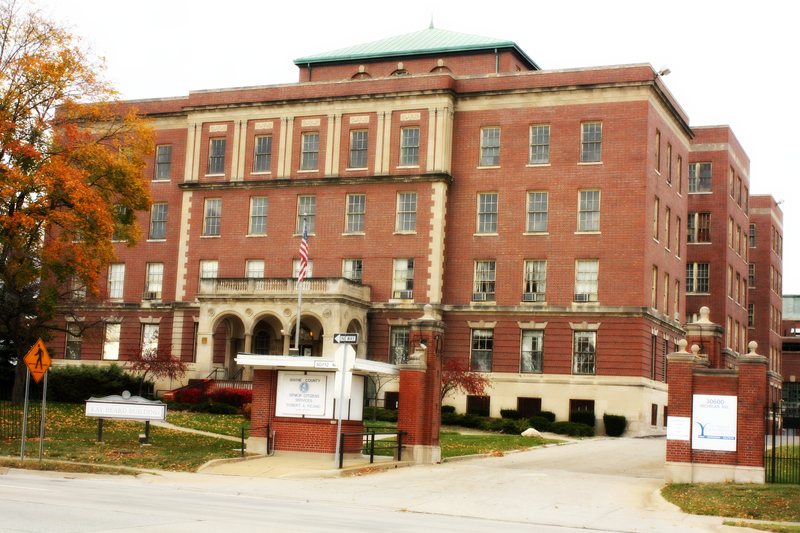 The postal address of the hospital became Eloise and eventually the hospital was called Eloise Hospital, a combination of a psychiatric hospital, an infirmary for the poor and a TB sanatorium. By the time of the 1930s depression, which created so many destitute and homeless people, Eloise had a population of 10,000, with 78 buildings and 902 acres. It had its own farm, cannery, bakery, dairy, police and fire department. This was to be Jacob’s home for many years. A recent book called Annie’s ghosts: a journey into a family secret by Steve Luxenberg (2009) is the author’s search for his unknown aunt, who spent much of her life in Eloise, and the fate of his mother’s Jewish family in Radziwillow, near Brody, during the war. Luxenberg’s mother was deeply ashamed of her disabled sister, who had a malformed leg, low intelligence and some psychiatric problems possibly due to realising she would never lead a normal life. After her sister was hospitalised at 21, his mother, desperate to keep her sister’s existence secret, had to sever many connections with relations and old friends. It reminded me of my own family’s silence about their past and the death of their children, which may have been the reason that many cousins from other branches of the family had no idea my family existed.